Food grade siphon tube (1.5m) Preferably one with a automated pump and a steel mesh filter. Take a few drop of this wort and test it with iodine solution. If it turns purple then you have unmalted starch residue and 15 more minutes of flame is needed. Take the vessel out of flame and plunge it in ice bath. Chill till room temperature is achieved and then filter to make your wort. Rinse it with sterilized water to remove any residual taste/color of the disinfectant. You might have to use a hot nail to puncture the lid of the mason jar to insert the grommet gasket & airlock. adding 1/2 teaspoon of yeast nutrient is good to give your yeast the natural boost required to finish the task. Store it away from sunlight in a cool dark place and check periodically over next 7 days. Sanitize the swing top glass bottles & rinse off the disinfectant. Serve chilled in a glass mug. (Homebrew is never drunk from the bottle directly because of the yeast deposit at the bottom) BTW this yeast is completely edible, in the whole process you haven’t added anything toxic. 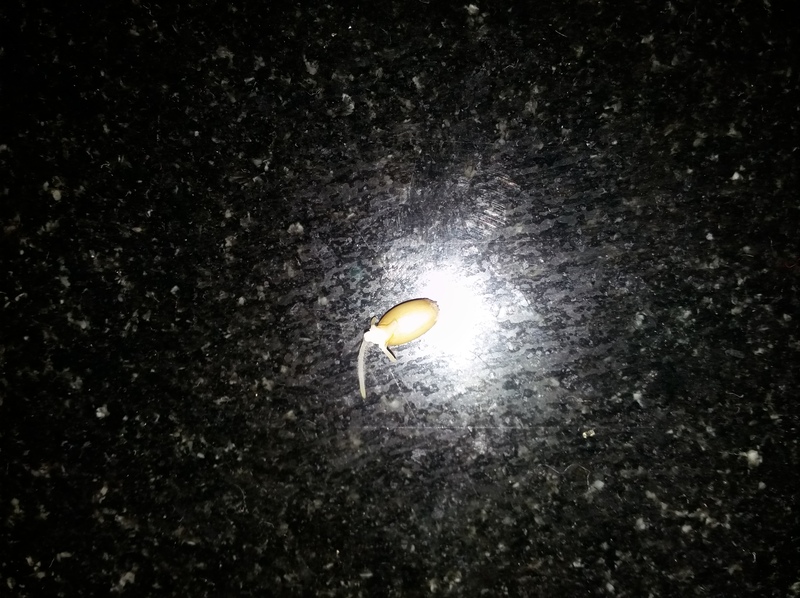 You can visit https://www.facebook.com/arishtam/shop for any help & supplies for your homebrew. Also they conduct classes every 4th Saturday of the month to help amateurs. 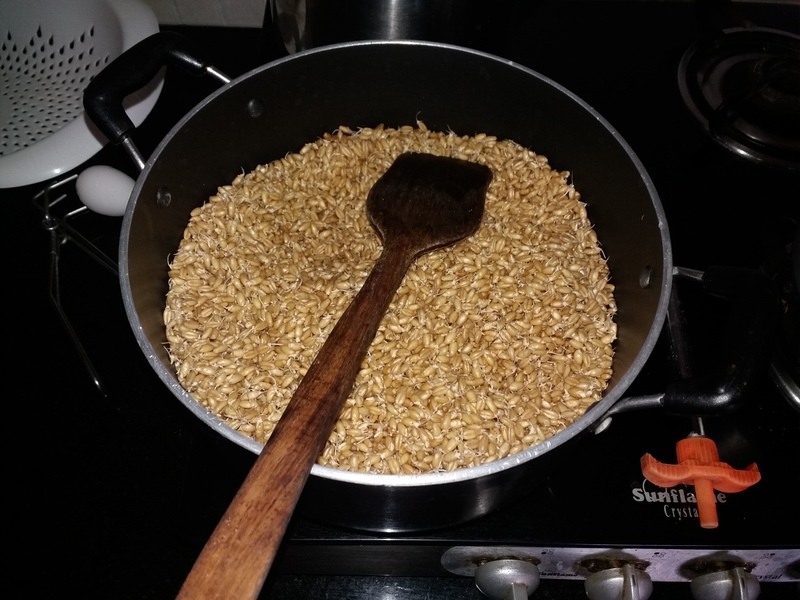 During my homebrew experiments, I was faced with the epic question of using Indian Barley or imported barley. Using 6 row barley malt or 2 row malt etc. Here is some literature that I could dig out on the same topic. It has more protein, less starch, and a thicker husk than two-row. Six-row is less expensive per pound, and allows further cost cutting through the higher use of inexpensive adjuncts to offset the high protein levels. Six row is locally available, which means lesser logistic hassle and uncertainity. Higher protein levels may help speed conversion to fermentable sugars. This is important to homebrewers using high mash-in temps; more conversion would take place than otherwise. Six-row has higher enzyme content for converting starch into fermentable sugars. More enzymes means it can convert adjunct starches (which lack or are deficient in enzymes) during mashing. Offset this with more (less expensive) adjunct grain use, and you know why so many large breweries use six-row. Supplementing two-row malt with some six-row malt might increase extraction, conversion time, and fermentability, particularly if you have a high percentage of adjuncts. Six-row yields more per acre, the true reason for its affordability. Those thicker husks improve the filter bed for lautering. Enzyme and protein levels are high enough that a brewer probably doesn’t want to use six-row barley exclusively in a recipe. (Adjunct grains are cheaper.) 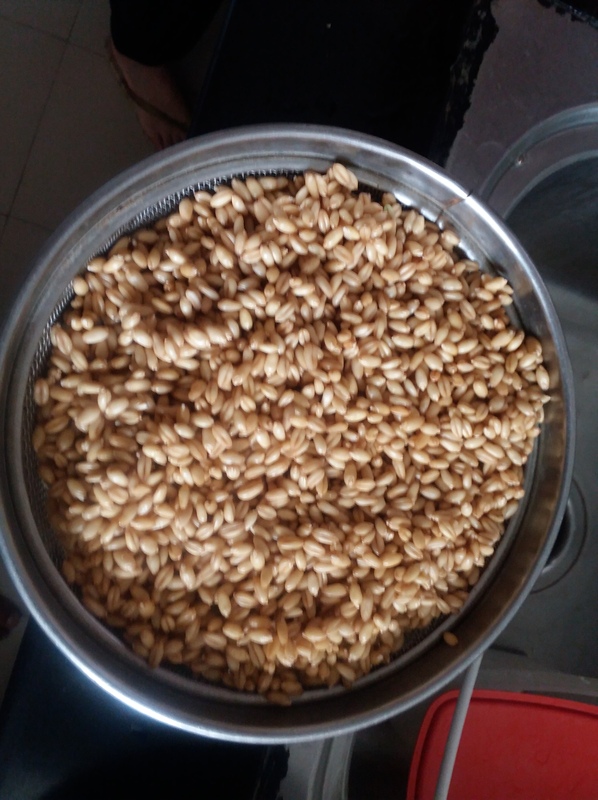 Unmalted cereals (corn and rice) are often mixed in with malt to compensate for the higher protein levels in six-row barley—up to 40 percent of six-row grist can be adjunct. New malt strains mean adding adjuncts is no longer necessary, but it’s economical and, in the case of some large breweries’ beers, traditional. Six row is more susceptible to the formation of dimethyl sulfide, a process begun through protein breakdown in malting. Some DMS is acceptable in some beer styles, but too much may contribute to a cooked or sweet corn flavor. Higher protein content can result in more break material during wort boiling and cooling, which can cause protein haze. Pay attention to this extra hot break for coagulation and removal. Six-row husks are high in polyphenols (tannins), which can contribute to protein-polyphenol haze, and can impart an astringent taste. Higher protein content often indicates less starch for conversion in malting. Six-row malting barley contains from 12-13.5 percent protein, whereas two-row has 11-13 percent. 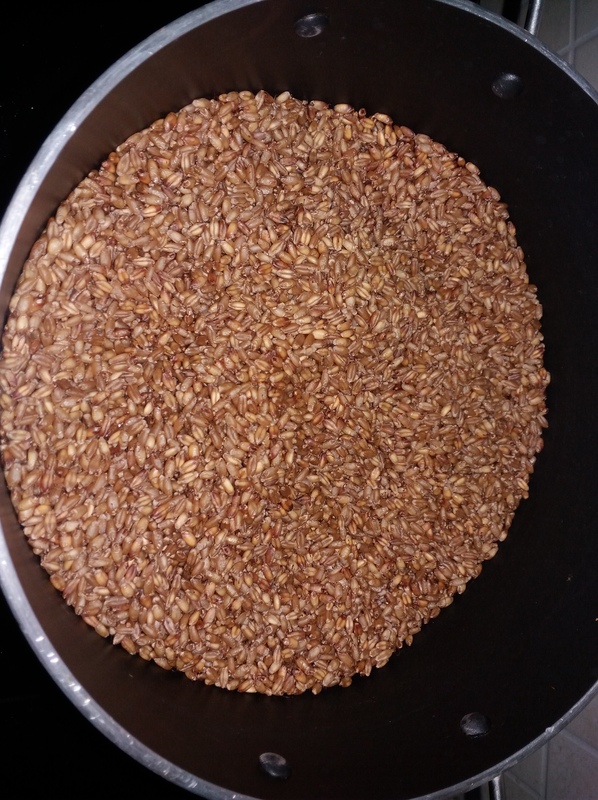 Malting doesn’t change the protein levels much. High proteins can lead to other beer quality issues like color control. Syrup adjuncts and six-row: Syrups are prepared by enzymatically hydrolyzing corn starch into fermentable sugars. 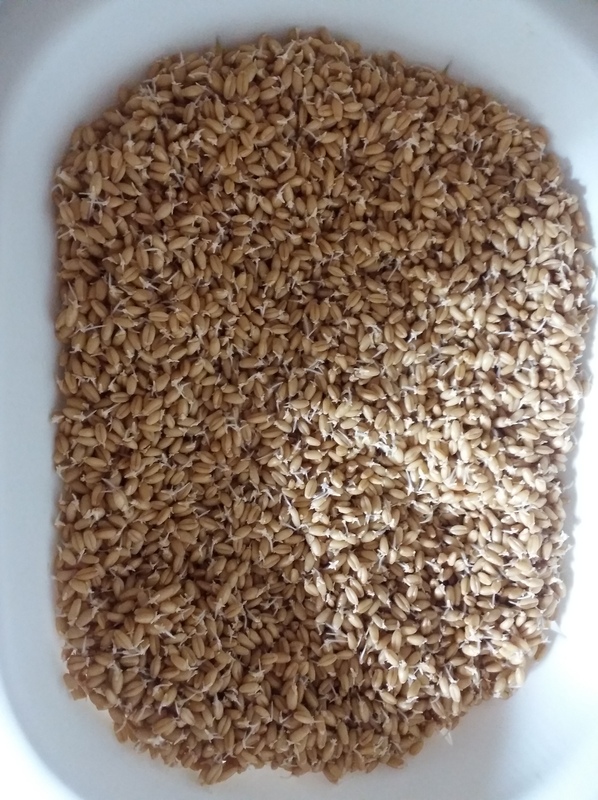 It’s added to wort in fermentable form, which can take the wort over acceptable enzyme and soluble protein levels if you’re using six-row barley cultivars. You can make more beer from two-row than from six-row malt; its lower enzyme content, lower protein, greater starch content, and thinner husk make it better suited to higher extract. This is less obvious at the homebrew scale and more a concern for large breweries. Arguably gives beer a mellower flavor than six-row. The lower diastatic (enzymatic) power of two-row becomes an issue when a large proportion of unmalted adjunct grain is used. Two-row tends to be more expensive per pound. 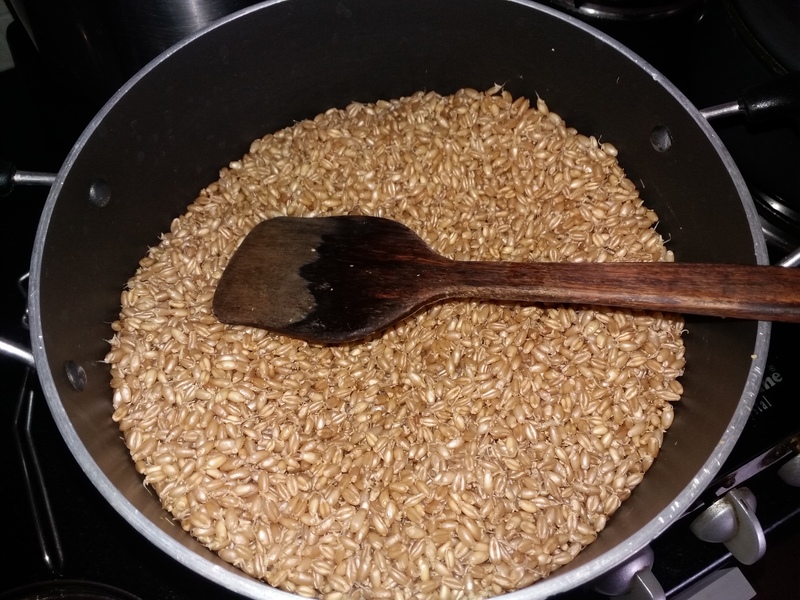 Big breweries generally use far more adjunct grain than they strictly need; large amounts of adjuncts tend to have little body and less maltiness. This post is meant for amateurs only who are operating at a shoe string budget and constraints on space. Why you need a punching bag? After a stressful day at work, who does not like a piñata to beat the crap out of. Want to clear your mind: just stick the picture of your least favorite person on a bag. This is what prompted me to install a punching bag at home and I soon realized that it’s actually a good cardio exercise and a compact practical tool as well. Cycling, treadmill and most cardio exercising machines focus on mainly leg muscles but this bag gives much needed toning to the upper torso. Also a few lessons on self-defense are like swimming, you never know when you need them but can be lifesaving when you actually use them. MMA Pads occupy the least space, if you are unsure of your fitness goals. However, you would need one dedicated person to hold the pad and coach you for the pads to be of any use. Hence a suspended bag is preferred. Let’s talk business: Why you need a punching bag, How to fill your bag, how to install it, and what protective gear to use. How to fill your bag? Inspect the seams and buckles of the bag carefully for any damage. Make sure that the outer bag is not of cheap vinyl. It can withstand at least 6 months of brutal assault by your fists and feet. Buy a roll of duct tape and reinforce the seams from inside. This will lengthen the life and prevent dust/fiber bits spraying after repeated blows. Also patchwork from inside is much more elegant than any repair you will do from outside. Avoid sand. The inner material will invariably leak and sand only makes a mess. If you are looking for a really heavy bag, go for rice/grain instead. They are homogenous enough to pack tightly, and large enough to absorb blow, yet not leak from the seams. Always encase your heavy material inside a bag/cardboard case. Else they will breakdown into powder and settle at the base. Sand/flour settling at the base is an issue because the bag will not be homogenous and also will make you more prone to injuries when you kick the bag. If you can stack it as thin long packets, duct-taped into a tube, it will be the best. Raid your old garments, old mattress to get the filling that you are looking for. Make sure that it is sundried enough to prevent any mold infestation. You could use paper shreds also to supplement. The ratio of width of inner dense core to softer filling depends on how hard you want to train and your endurance levels. For kick-boxing you could even use low density saw dust which is ideal for beginners. Remove any plastic, metal esp. buttons from the garments before filling. Try to have uniform packing from all sides and press as much as you can before adding a new layer. Keep in mind the intended heavy bag weight that you want to achieve before you seal the bag. Take care of the zipper and seams. Try to paste a duct tape on them to prevent them from spraying dirt when you hit them. Most websites will recommend you to install the punching bag through the ceiling. That is great if you have access to a shed where there is a beam (timber or steel) to loop through and hoist your bag. If you have a dedicated MMA (mixed martial arts) room, then you could probably remove your ceiling fan and install a punching bag instead. However, most condo/apartment dwellers don’t have such a luxury. Also most ceiling fan hooks are 10 feet high making the boxer to invest in an expensive long chain (default ones are usually only 1 feet long and ropes are susceptible to breakage) You could buy a boxing stand and attach it to the wall, but that is expensive and is going to be a permanent fixture. The bag will be low enough to allow you to kick without the extra expense of an extension chain. You can easily remove the bar and the bag without leaving any tell tale signs of being a fitness freak. You can install it yourself without need of any drilling machine and tools. Make sure that there is enough space below your bed/behind it to stash away the bag & bar when not using it. Also the bag swings a bit more than the ceiling mount, but a bit of rope can arrest this movement. When you want to do “round horse kick,” move the bag to one side of the door frame. During punches/jumping kicks move the bag to the center. Kick-Boxing is an intensive sport that allows you to tire every muscle really rapidly. Be mindful of the door frame when you exercise. Kicking/punching wood accidently could seriously harm you. Luckily most boxing/mma gear is useful only when you go for actual combats or learn defense. Punching bag can only teach you offense and right padding on wrist is usually enough. Go for wraps (atleast 2m long and not more than 5cm wide) and boxing gloves with good amount of padding. Wraps tightens the small delicate bones in your hand to prevent carpal/arthritis/bone shards in the future. The cushion of the gloves prevent knuckle bruising and wrist damage due to impact. So one cannot compensate for the other. Best of luck for your training and post pictures if you find the tips useful.